After that I will be discussing Trump’s nominations for Secretary of State and the Department of Energy. I will take your calls as well, Wednesday at 8pm Central on Liberal Dan Radio: Talk From The Left, That”s Right. Liberal Dan Radio 12/7/2016: More on Trump appointments. Donald Trump continues the #Trumpocalypse with appointments for several positions that will make your head shake. I will discuss these issues and more on tonight’s show, Liberal Dan Radio at 8pm Central. Tonight also begins the annual “War Before Christmas” start to the shows, a holiday tradition on Liberal Dan Radio. So sit down by the fireplace, have a warm cup of hot chocolate, and listen the Fox News story about how we are trying to ruin the holidays for white people. Remember, you can help the show grow by contributing to the Liberal Dan Radio GoFundMe page. The Trump/Pence has sounded and wildfires blaze, the Trumpocalypse is coming. Being prepared for what is to come requires a close look at how he intends to “govern” and a look at what we need to do to stand together against his plans and the people has has emboldened. The list of people he is considering for posts is mind numbingly stupid and his supporters grow more and more dangerous by the day. The time to be silent is over. It is time to stand up and stand together against this threat to our country. So tune in at 8pm Cental on Blog Talk Radio to Liberal Dan Radio: Talk From The Left, That’s Right. You can help the Liberal Dan Radio program grow by contributing to the Liberal Dan Radio Gofundme page. Hate the #ElectoralCollege? Love it? Tonight at 8pm Central, on Liberal Dan Radio, I will go over some of the following topics. Do we need it today? Should anything at the national level be decided by a “popular vote”? Would candidates really ignore “flyover country” without it? Why is the modern implementation of the Electoral College a violation of the founders principals of what it was supposed to do? 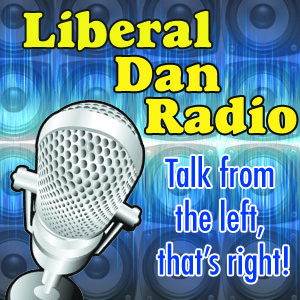 Those topics and more tonight at 8pm Central on Liberal Dan Radio: Talk From The Left, That’s Right. In the coming years we will need as many people as possible spreading the progressive message. Help me become one of those voices by donating to the show on the Liberal Dan Radio Go Fund Me page.